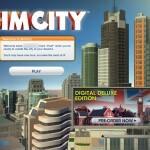 SimCity 5, or simply “SimCity,” is a new game being developed by Maxis and Electronic Arts. Its release date is set for March 5. 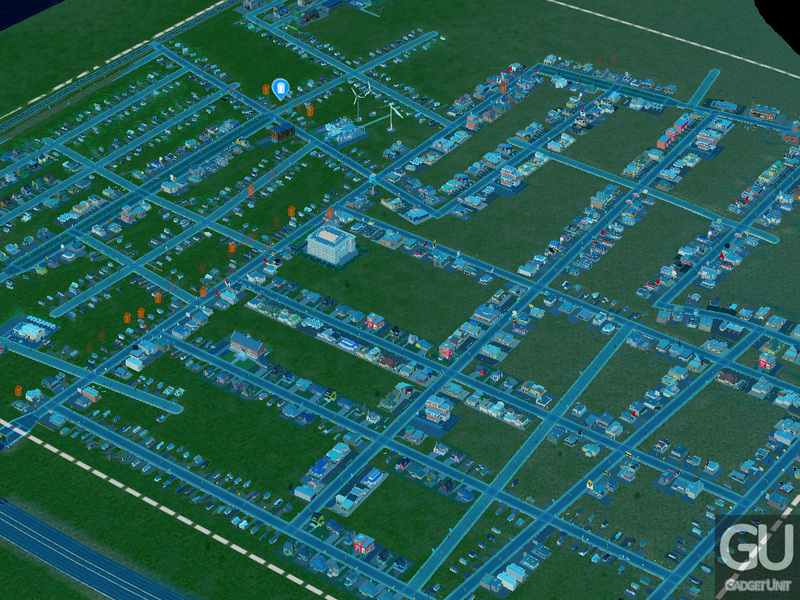 The object of the game is to build great cities, which isn’t easy, while having fun. I was lucky enough to be granted weekend access to the closed beta, which gives you 1 hour of play for the tutorial, and 1 hour of play for the actual game. So, without further ado, here are my first impressions and some basic in-game screenshots. If you’ve been following me on Twitter, you may know that the install process takes quite a while. Not kidding. It’s one of the slowest I have seen for any game. The download itself was only around 300MB, so I don’t understand how it is taking so long. It’s been going for almost an hour, yet it’s only at 23%. This could be due to many other beta testers who are trying to download it at the same time. Bare in mind this is not the final product, so there are most likely many bugs to be found. Nearly an hour after starting the installation, I got an error that the servers are down. This is what closed betas are for people. 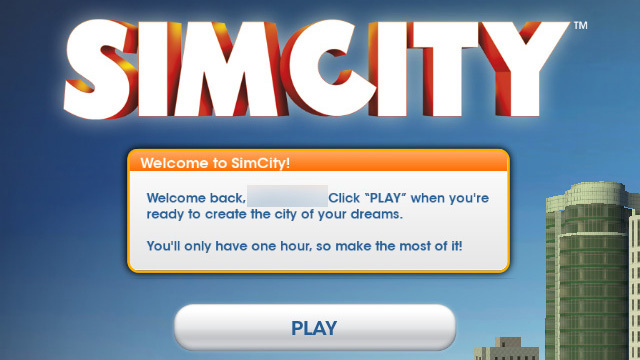 An hour and a half later, the game is ready. A restart is required after an update has been completed. Note: The following is a small live blog of my experience. Micro management seems possible according to some in-game tips. For some reason, the game has reduced itself to a 4×3 aspect ratio at 1024×768, as you’ll see in the screenshots below. The music is quite peaceful. The bulldozer tool has made a comeback. 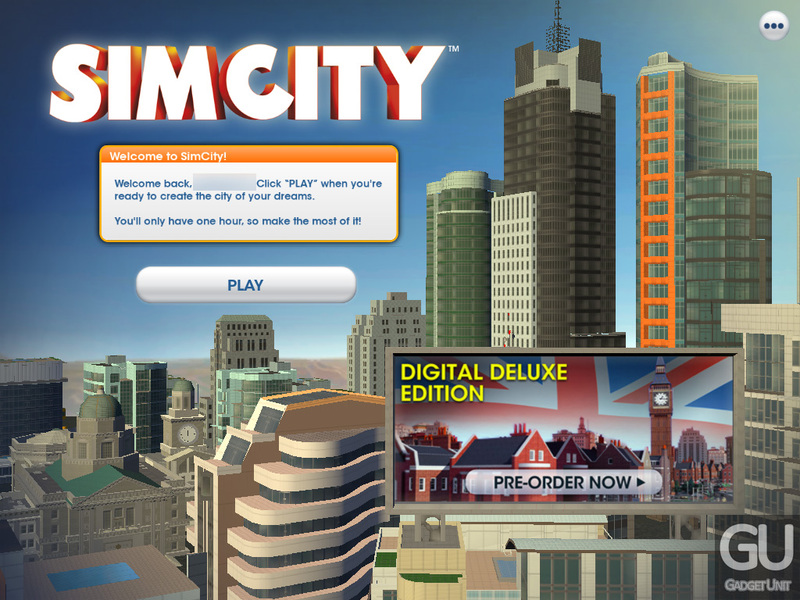 SimCity combines the nice user interface we saw with The Sims 3 with the new game that is quite cool. 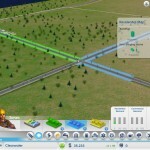 Unlike in past SimCity games, you can no longer build outside of roads, unless you have built a structure that lets you add onto it. The speed meter goes by turtle, llama and cheetah. 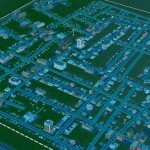 It seems as though 8% is a Goldilocks tax rate for your SimCity citizens. The tutorial has been completed, and it basically went over all of the basics. 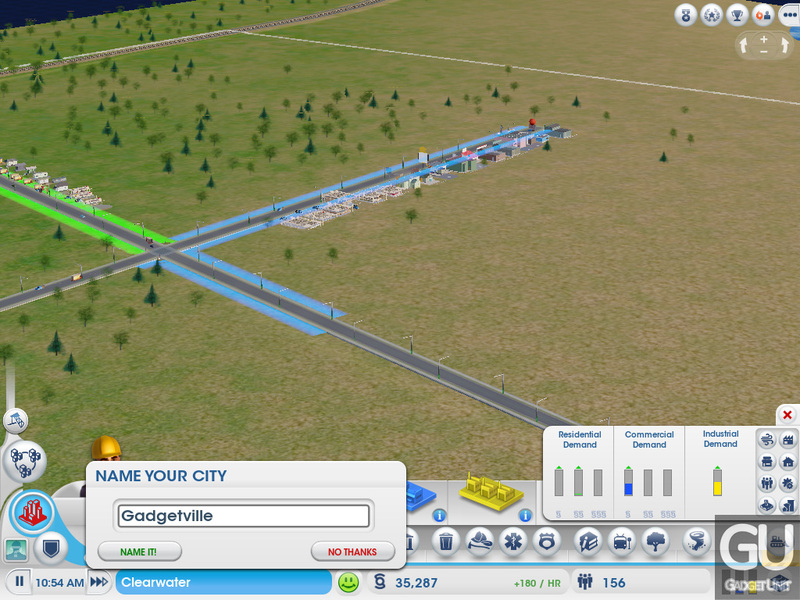 Now, I have one hour to make the best city that I can. I hope that the final version has support for other resolutions, and it probably will. Note: This is the end of the live portion. Alright, I may have gotten a little carried away with playing vs blogging, but that goes to show how much fun this game actually is. 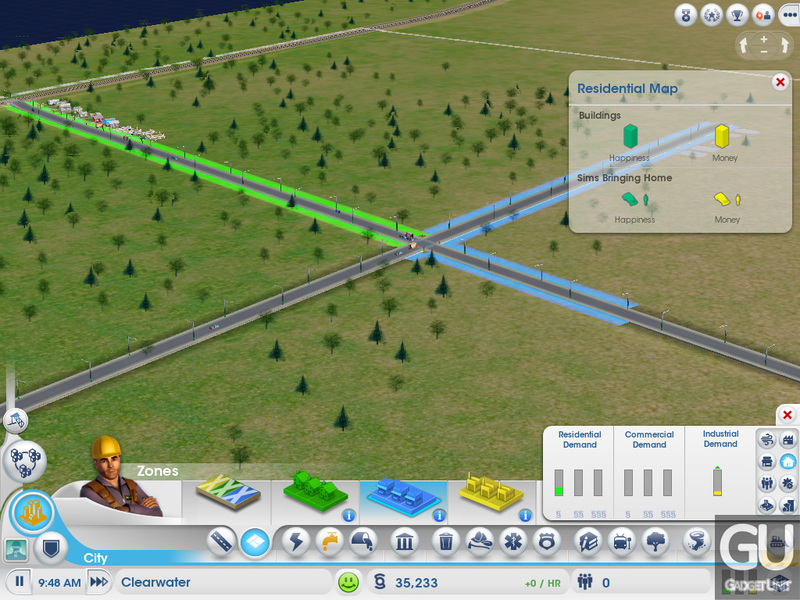 I started off with a small city that contains four crossroads which soon had sims traveling around on them. Everything grew from there. More houses, more businesses, more factories (I kept this to a low considering how the game handles pollution in the early stages, and I’m not sure if that changes later). 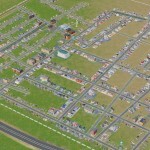 My sims eventually started wanting things, such as police stations, fire stations, hospitals, schools and more. So now let’s take a look at what the game gives you to work with in terms of tools. When you build a building (not zoning) from the respective menu, it will have he ability to accept addons which greatly increase its ability to function. 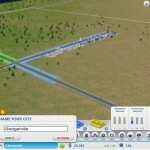 Bus Stations + More Buses, Schools + More Classrooms, etc. 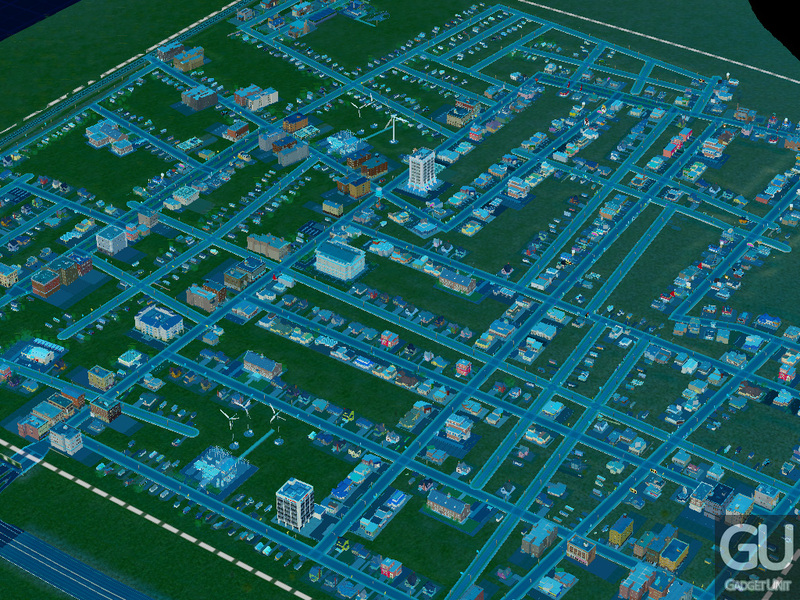 This is great, considering in the previous SimCity games, you had to make dozens of schools, etc. Now, you can upgrade the ones you have. 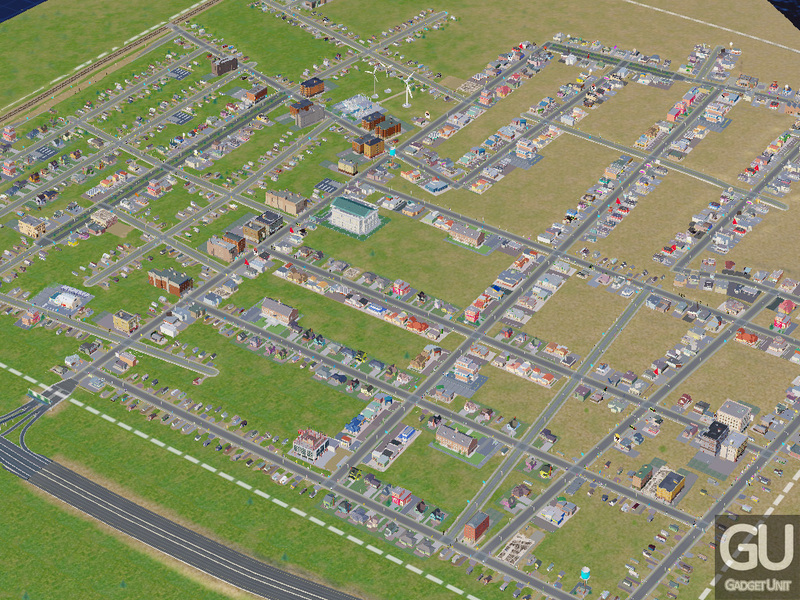 Zoning is one area where Maxis really changed, for better and not worse, but not great. You can only zone along roads, but you can’t select a giant area and have it only zone along the roads; you have to zone the whole thing manually, which is a nuisance. On the other hand, it allows for micro management, so macro management gets the boot so micro management can get expanded upon. 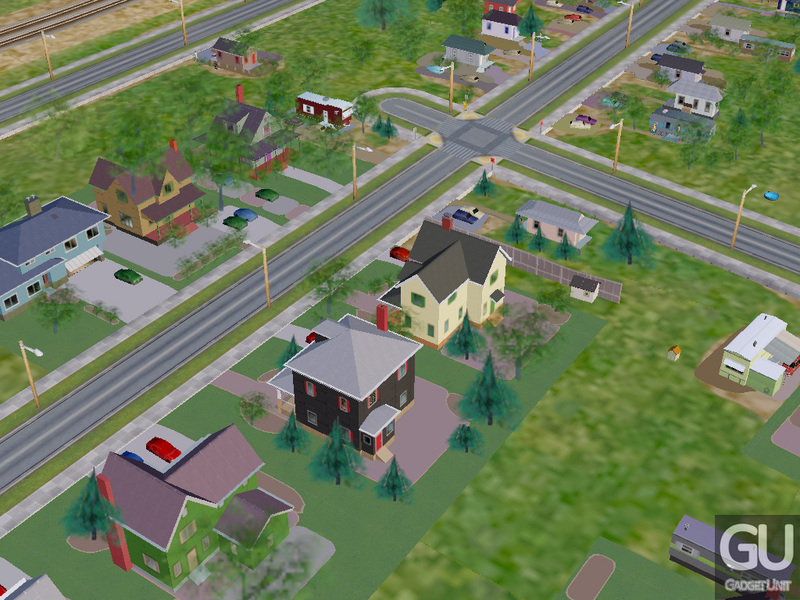 For instance, you can now pattern your city with commercial and residential side-by-side, which is more representative of modern day cities. 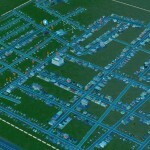 If you’ve played any of the SimCity games in the past and can remember what you hated, Maxis basically fixed everything. 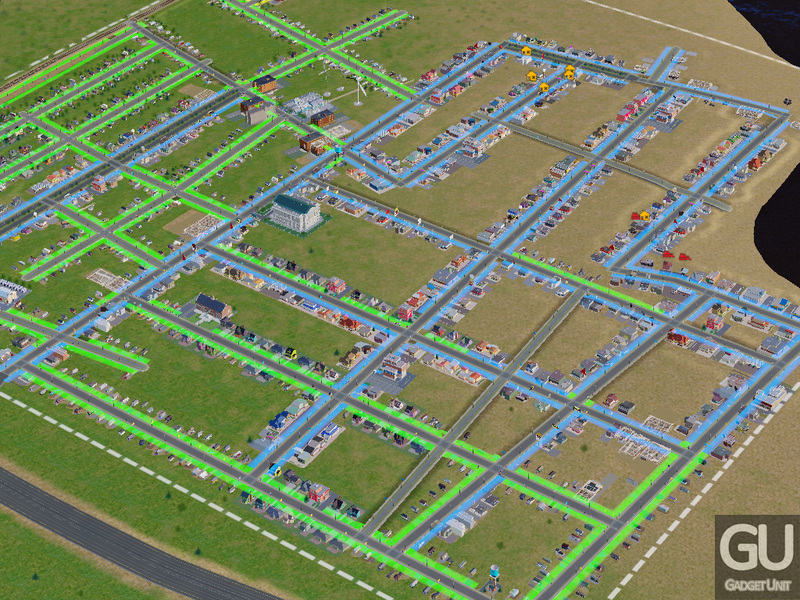 Sure, you can’t rip apart your cities with aliens anymore, but you can build and operate on a scale that no other SimCity game has allowed to date. The two hours I received to play the closed beta were well spent. If the game hadn’t stopped me, I would have kept playing and playing. 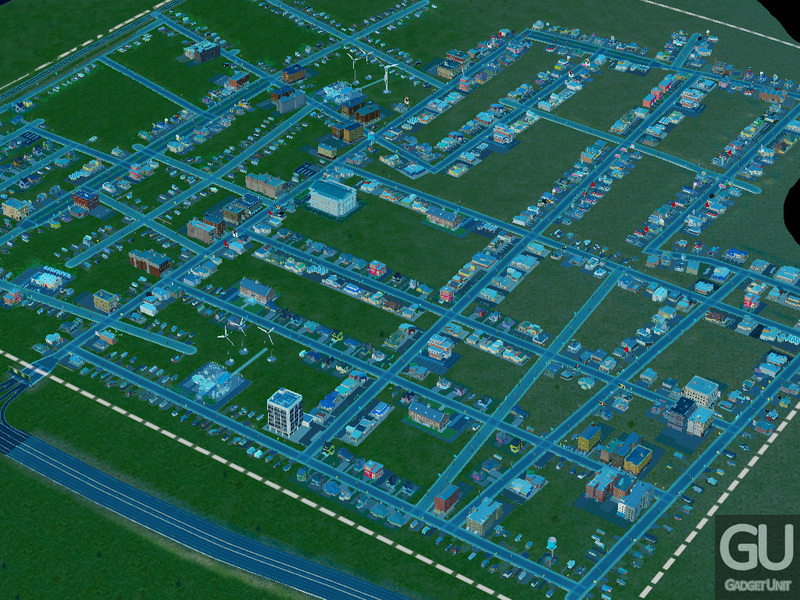 If there was any doubt in my mind about getting the next SimCity, they have all been erased. 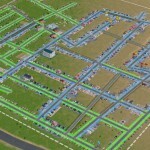 This game will be sure to please millions of SimCity fans everywhere.